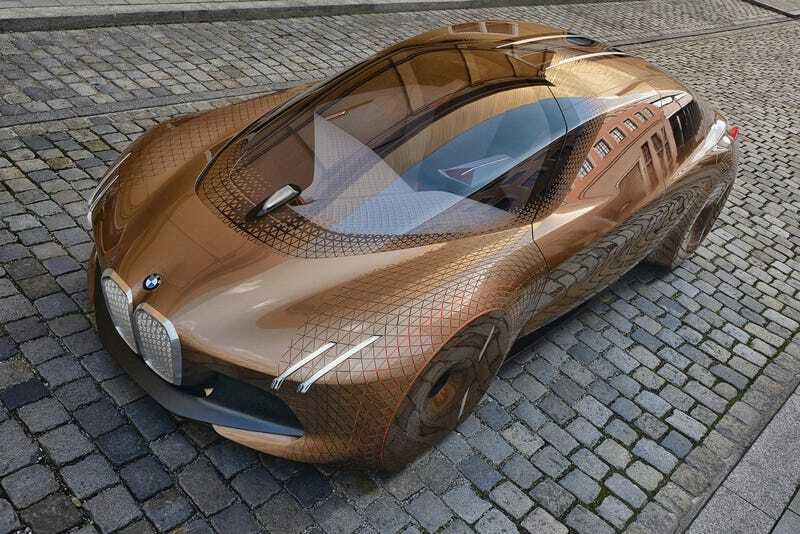 BMW is finally getting serious about this electric car thing. Now it looks like the automaker has a legit Tesla Model 3 fighter coming soon, and there’s a reason why this car could spell trouble for Elon Musk. BMW will launch the 4 Series GT Electric the UK in 2020 and is aiming for 100,000 hybrid and EV sales this year, according to a report from Autocar. While the 4GT EV is still a few years off, the report states that the 4 series GT will be a replacement for the odd 3 Series GT and will be offered with a variety of powerplants including gas, hybrid, diesel and our relevant all-electric version. While nothing has been confirmed yet for the American market, it’s probably safe to assume BMW will bring that exact model across the pond or something within a very similar price point and performance. Jalopnik has reached out to BMW USA for confirmation on whether or not the 4 Series GT Electric will come to the American market and we will update if we hear back. The first uses a front mounted electric motor in combination with a fixed-ratio gearbox and so-called electric propeller shaft to channel drive to the rear wheels. This layout would provide the new model with traditional BMW traits and, according to at least one source, the best possible weight distribution. In either application, BMW wants have a car that is just as quick as its gas or diesel powered variants with an output around 355 horsepower and an electric range of around 311 miles. If achieved, both of those figures could mean serious competition for the Model 3, but that’s only the start of Musk’s problems here. The real problem is that Tesla is finally getting mainstream competition in the luxury EV zone, (with the Model S and Model X, Tesla was basically the only player in the high-end luxury EV game) and against BMW it has a disadvantage. That is, BMW is way ahead of Telsa in terms of owner loyalty and a more robust dealer network. The vast majority of luxury cars and EVs, in general, are leased not purchased. The German automakers are masters at retaining lessees through various programs and incentives. As EVs become more popular, BMW, Audi and Mercedes could easily develop attractive lease programs to help transition their gas customers into electric cars. Furthermore, Tesla insists, for good reason, on selling their cars directly through their retail stores and has resisted the franchise dealership network. While this certainly is a noble cause, the fact that Tesla is essentially locked out of certain markets could put them at a disadvantage, when those customers could easily get their reasonably priced EV from a local German car dealership.